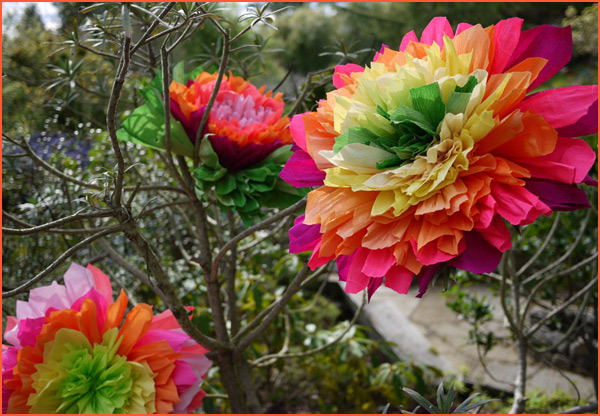 The creators at Honestly...WTF surprised and flattered us recently with these giant rainbow-hued crepe paper flowers. The blog's editor visited the shop and was so impressed with the pom-pom flowers made by our very own Daniel Orona that she taught herself to make them. Now she is sharing the process in a brilliantly photographed tutorial on her site. Thank you!